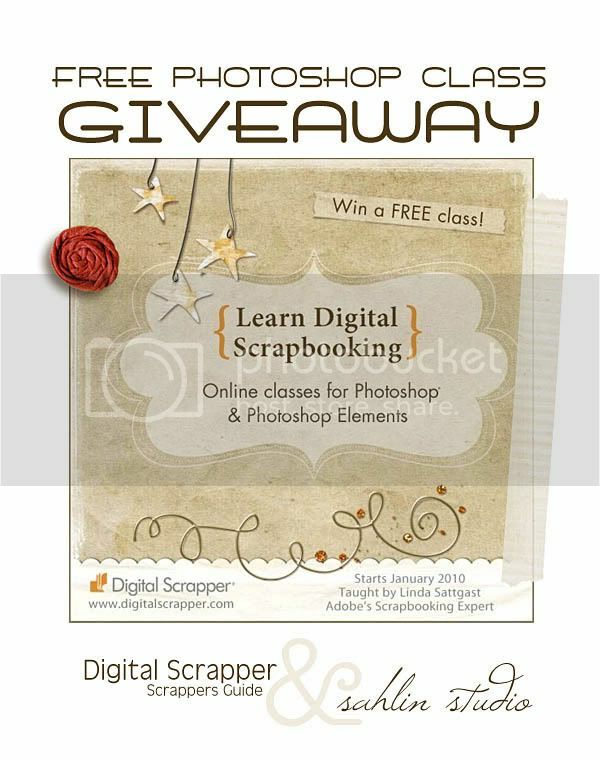 Learn more… FREE Photoshop Class GIVEAWAY!! Would you like learn how to use your Photoshop or Photoshop Elements program a little better? 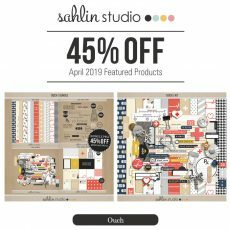 Are you looking to start digital scrapbooking? 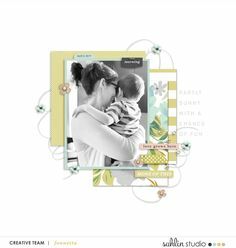 If you’ve been on the fence about digital scrapbooking and wanting to know how to start… but sure to check out the article here: “How to Start Digital Scrapbooking“. Plus, check out below for a wonderful opportunity to be able to learn more about digital scrapping and the “how-tos” behind Photoshop. 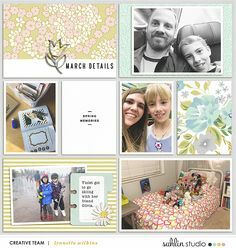 I LOVE when I learn new tips and tricks about my program… I find that it often helps to make scrapbooking easier. I am excited to announce that I will be giving away a fantastic prize to a lucky winner. Thank you to the generosity of the Adobe Scrapbooking Expert Linda Sattgast at the Scrapper’s Guide , a lucky winner will be receiving a choice between a number of lessons using one of the most popular digital scrapbooking programs out there – Photoshop or Photoshop Elements..
For a chance to win this training program prize, please leave a comment below, answering the following question: Are you looking to start digital scrapbooking, Learn more advanced tricks, or for more of a refresher? A winner will be randomly selected from the comments received by: Monday, December 6th, at 11:59pm CST. Good Luck & Happy Scrapping! I would like to learn more advanced tricks.Thanks for the chance! How cool is that! I would love to win that perfect Christmas gift! Oh, this is so cool! I would love to learn more advanced tricks. Photoshop is such a wonderful programm and I would love to learn everything about it. Thanks for this chance to win. I would love to learn some new things !!! How exciting!! Thanks for the chance !! Advanced Tricks??? I would love a chance to learn more! 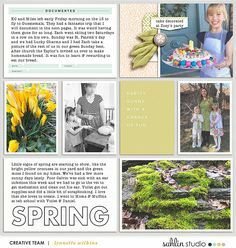 I've been digital scrapbooking with Elements for years, but never had a class. I would LOVE to learn some advanced techniques. I'm hoping to learn PSE better. I'm switching from PS to PSE because of upgrade costs. You'd be surprised at the learning curve! I would love this…I am just learning the PS CS4 program that I have had for over a year. So hoping for this one! Thanks so much for the chance to win! I'd love to learn some advance techniques, but I also haven't taken any formal classes, so I'm sure there are things I'm missing! I have used PSP for a while years now and I Purchased PS over a year ago and still dont know how to use it… PLEASE HELP! I would love to learn and refresher and would love to scrapbook like you do! THank you for the offer! I'm a beginner, learning by exploring the web. I'd love to fill in some of those large gaping holes in my education. Thanks for the opportunity to win! I'm trying to learn how to use PSE. I'm intimidated by it every time I open the program. Thank you for the opportunity. I would love to learn more advanced tricks. I've been digital scrapbooking since the summer, and loving it! Thanks for the chance to win. I'm always looking to expand my repertoire of advanced techniques! Thanks for the opportunity to win! Advanced tricks! I'd love this chance! Thanks! Fabi. I'd love to learn something new. Thanks for the chance. I would love to learn more about designing and just how to use the software better in general. I'd like to learn learn some of the basics and intermediate, as well as learn to make my own elements. WOW!! What an amazing give away!! I would love to learn some more techniques!! Thanks for the chance! OHMYGOSH what an opportunity. I would love a chance to learn more advanced techniques. I just started digiscrapping last year and love it, but feel like my work is inferior to what I see out there in digiland. Thanks for the chance to win! I would love to learn anything and everything. I am just kind of teaching myself with the help on a lot of online helps. So some basics and fun tricks would be wonderful. Alright! I really want to learn some advanced techniques! I know the basics but the harder stuff I need some help with! Thanks! Yes! I have a lot of pictures online and it is such a hassle to have them printed and crop them. I used to think I knew how to operate Photoshop but it is too overwhelming. I still would love to try. Thanks! Grrr! I just wrote a looong comment about how much I need this! I just started digiscrapping and am halfway through my trial of PSE9. 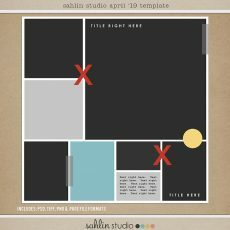 I can't figure out simple things like how to put a picture into a frame in a template. I also can't find a tutorial anywhere on how to make a style. I have a good grasp on the program bc I used it a lot 13 years ago in highschool. Soooo yes please! I need these classes and would love to win!!! Thanks for the chance! Fantastic Christmas present! I would like to learn more advanced tricks. Thanks for the chance! Oh I would love to win this! Thanks for the chance. I've tried to switch from PSP to PS many MANY MAAAAAAAAANY times now and couldn't so far. I guess I'm too comfortable w/ scrappin' in PSP. I do know how to make some things on PS, but it takes me so much more time to do, to find the right tools. I guess if I just could improve my ways on PS… IDK. Thank you for the chance, it's a cool giveaway. Wish you all a very blessed xmas time ! What a great giveaway. Thanks for the chance. I would love to improve my knowledge of PSE. Awesome! Yes, I'd love to learn more. I've got PSE7 and there are so many tools that I'm NOT using!! Great prize! I would love to learn more advanced tricks, I use CS5 and there are some tools I´ve never tried! Thanks for the opportunity!!! I am always looking for ways to learn more! I am presently taking Linda's first class that started 2 weeks ago. She is a magnificent teacher. I pick up tips with things I already knew how to do and she always includes extras for those who are more advanced. I want to be a digital scrapper so bad. We have adobe photoshop and I have made a few things by trial and error. I am excited to see what I can do when I actually know what I am doing. I've made a few layouts using another program, but downloaded a trial version of PSE as some templates are exclusive to photoshop. I find it so much harder to use and like someone else mentioned, quite intimidating. Its catch 22 – cant justify buying the program (and they charge us $150) when I find it hard to use and cant afford a training program if Im not going to buy the software. Dilemmas, dilemmas. Thanks for the chance, it would help heaps! I'd love to learn some more advanced tips! I could also use a kick start to my creativity. I would love to have a refresher and to learn basic tips that I don't know! I would love to learn more advanced tips and shortcuts to allow me to complete pages quicker. THanks!! I want to learn more advanced tips. I am a budding designer and want to learn as much as I can in order to do what I love and make it look fantastic. Thank you for this wonderful opportunity! I would love to learn more advanced things even though I am an intermediate PSE user. I would love to learn more advanced tricks! Wow what a great giveaway! I've been digitally scrapping for a long time but have used another program until recently and am trying to learn photoshop elements 8. This would be a timely gift! You're awesome, Krista. I love digital scrapbooking. I would love to learn some fun new tricks. Thanks for the chance to win!! I would love a chance to win! I'm a tweener…a newbie, I know the very basics, but want to learn as much as I can! Thanks for the opportunity! I can use all the help I can get!! I know the basics but need to learn the more advance things. I would love to learn more advanced tricks along with a refresher along the way. Okay, I must admit… I am a beginner. While although I have been in the digi-community for a LONG time, I have really only managed to spend a LOT of money on products I can't use! I have over 1 terabyte full of amazing products, but everytime I sit down and try to scrap a page, I am never pleased with the results!! I don't intend to be an elete scrapper or anything, I'd just like to know how to create a FULL page without the desire to rip my hair out! I have a few tutorials, and a book or two, but they all say the same thing and still provide no results. I have heard of these classes and I would just DIE if I won! Thank you so much for the chace! I have owned Photoshop Elements for at least two years but have only skimmed the surface as to what the program can do. I would love to learn new tricks. I would love to learns some advanced tricks in Photoshop Elements! I would love to win this so that I can scrap all the wonderful pictures of the child that God has finally blessed me with. I purchased a couple of holiday things from you thinking that I could figure it out and I can't! I was all set to do my cards, so it'll have to wait until next year because I had already made a resolution to learn next year. So……I am wanting to learn. Would love the chance to learn ..
have been "collecting digi stuff just not sure how to use them..
Linda is a GREAT teacher, her tutorials got me off to a great start at scrapping! I am looking to learn advanced tricks! thanks for the chance. I would LOVE to learn more advance tricks!! I know just enough about my PE8 to be dangerous, but would jump at the chance to refine the skills I have and learn lots more! Thanks for the opportunity! I would love, love to keep on learning!!! Every little bit helps! oh, wow! thanks, Krista! Laura is a fantastic teacher – and it would be so great to have her help as I begin to learn PS5! it will be such a change from PSE8 I haven't even started scrapping with it yet. I would love to learn to use more of the capabilities of Photoshop Elements. Been scrapping for nearly 3 years and learning something new every day! Thank you for this fabulous opportunity!!!! I've been scrapping for a while but know that there is a lot I don't know. I have photoshop and photoshop elements. I'd like to start digital scrapbooking, but honestly, I'm not even sure where to start! That would be great! I am self taught as of today so a little formal instruction could do me some good!